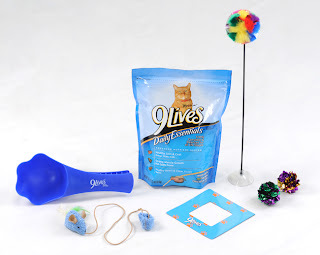 Thrifty and Frugal Living: 9 Lives Daily Essentials Gift Package Giveaway! 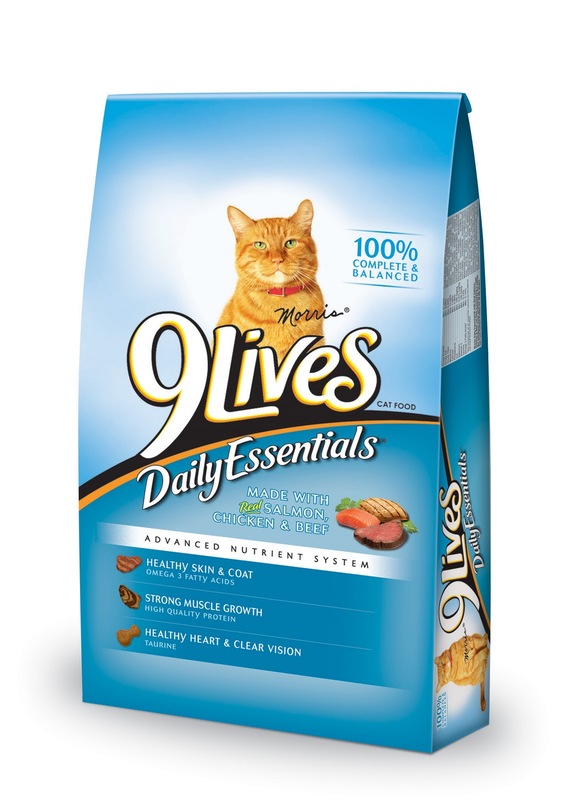 9 Lives Daily Essentials Gift Package Giveaway! This prize pack includes 9 Lives Daily Essentials, refrigerator photo frames, a food scoop, a really neat cat nip mouse that makes noise when you move it and a few other toys. I also received an additional coupon to buy a larger bag of cat food. One lucky winner will receive the same Advance Nutrient prize pack that I received from 9 Lives and MyBlogSpark. Giveaway ends 10/12/10 at 9pm EST. Giveaway is for US residents only. No P.O. Boxes. Winner will be chosen randomly. Winner will be contacted via e-mail and then will have 48 hours to respond before a new winner will be chosen. Disclaimer: I received the listed product(s) in exchange for this review/giveaway from 9 Lives and MyBlogSpark. I was compensated in no other way. The thoughts here are my own honest opinions. We feed our cat bread! She loves it! I am now subscribed via RSS! I already follow you via google! Button has been added #2! Button has been added #3! Button has been added #4! Button has been added #5! Button has been added #6! Button has been added #7! Button has been added #8! Button has been added #9! Button has been added #10! 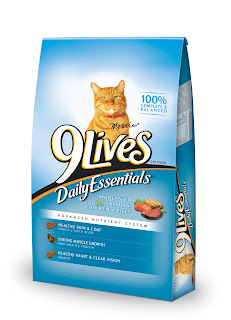 Each of my cats has only one food they like. If I offer them anything else, you would think I was trying to kill them. One cat likes tuna, one cat likes angel food cake, one cat likes canteloupe, and one cat likes ice cream. I give the cats table scraps, but my husband doesn't... so he puts them on my plate before I leave the table. I try but she never wants any..except milk (very little) and she loves ranch dressing. Nope, our kitty doesn't get table scraps. Luckily, she's really not interested in them. I get your RSS feed in my google home page. #1 - I'm following on google friend connect. #2 - I'm following on google friend connect. #3 - I'm following on google friend connect. No i do not feed my cat table scraps although I have caught my kids doing it from time to time. No, we do not feed our 2 cats table scraps. Every once in a while I might sneak them a bit of salmon or ham but that's about it. The only table food that my picky cat would even consider eating is canned tuna! She won't eat anything off the table except that she likes to lick the cheese off of cheez doodles. I personalty do not feed my cat table scrapes, and unlike the other animals in the house he doesn't go and beg for them either. However, If my Grandmother cooks makes something with canned tuna in it she usually puts the can on the floor so that any of the pets can get it if they want, and my cat does get it sometimes. Following on Twitter as keelagodrino. I tweeted at 11;42pm 10/7/10 but I have no idea how to show the status on this new twitter!!!! No we don't feed our cat table scraps. She is pretty new to our family, so that may change. No table scraps here. But I give them treats that are good for their oral hygiene and they think they are delicious! I don't--they don't like them. No table scraps for my cat - but she gets royally spoiled in lots of other ways! No, our cat has a sensitive tummy! No table scraps for my kitties. Thank you for the great give-away. My cat can't handle table scraps so we don't feed him scraps. I feed our kitties table food all the time. Mostly just meat. I never feed my cat table scraps. I do not feed my cat table scraps. yes we occasionally feed our cat table scraps.